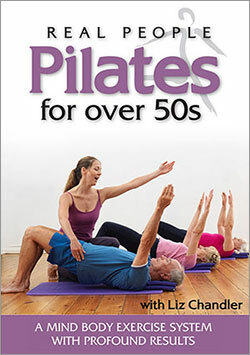 Pilates has many wonderful benefits for adults of all ages and abiliities. Pilates alleviates aches and pains, improves alignment, breathing, helps prevent injury, aids physical rehabilitation after sport and strain injuries, back injuries, hip and knee replacements, etc. 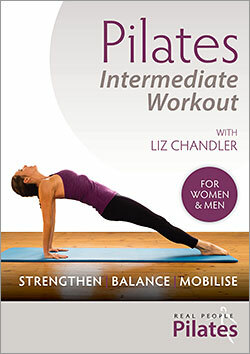 fed by the two UK oganisations which set the standards for Pilates training: Pilates Foundation UK and Body Control Pilates. Liz presents at internationals conferences and runs professional development workshops for Pilates teachers and physiotherapists. 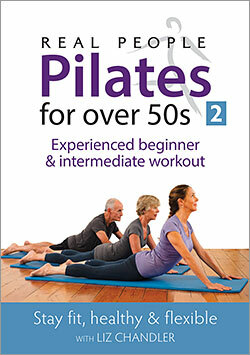 Real People Pilates provides a friendly, approachable and attainable exercise format. Our style of video demonstrates to your everyday person that Pilates is an exercise method that anyone can do. Exercises are taught with helpful hints on how to do the exercises correctly including where to focus, what to be aware of and possible necessary corrections.